Welcome to The Closing Table. We are proud to share recent mergers and acquisitions news within Columbus, Ohio and Central Ohio. 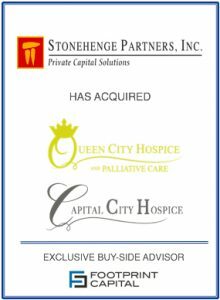 Join us in congratulating our client, Stonehenge Partners, on the recent acquisition of Queen City Hospice and Capital City Hospice. Stonehenge’s acquisition will support the management team in the continued growth of the business as well as to fund buyout of the two shareholders. 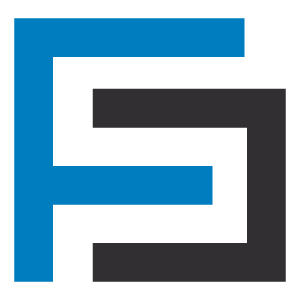 Footprint Capital acted as the buy-side advisor, and our strategic alliance GBQ Partners completed comprehensive buy-side financial due diligence. Queen City operates within the Cincinnati market, while Capital City Hospice operates within Columbus and Central Ohio. The companies specialize in providing physical and emotional care for individuals with an advanced illness. This business will serve as Stonehenge’s platform investment in the hospice industry, with the expectation to grow organically and through acquisition.